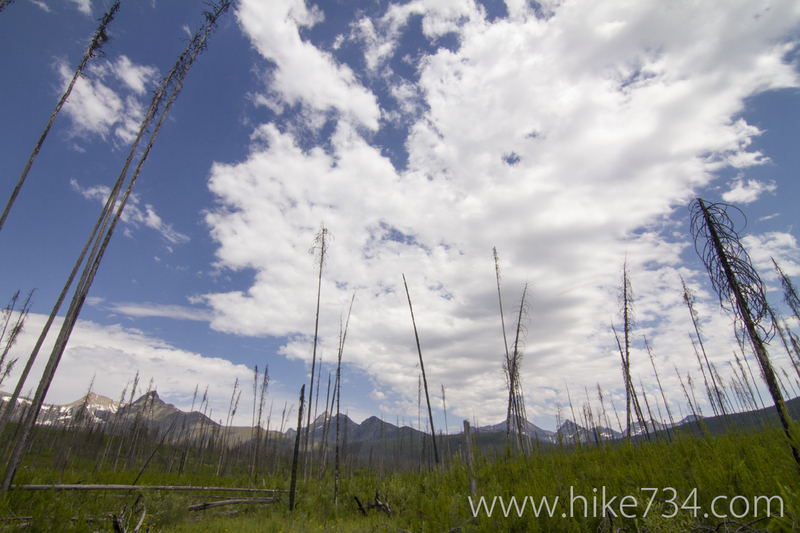 This alternate out and back route to Akokala Lake starts in a meadow off the Inside North Fork Road, then quickly heads into the burned forest area until it meets up with the Akokala Lake Trail (from Bowman Lake). 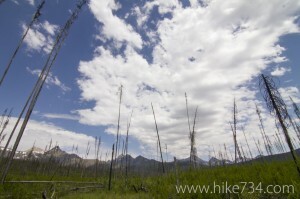 The trail is mellow in elevation, but is a Class 3* trail in a burn area, so you can expect to encounter downed trees on the trail, a creek ford, and possibly some muddy sections, especially in the spring. Trailhead: From Polebridge, head north on the Inside North Fork Road. The Akokala Creek trail sign is conspicuously located four miles after the Bowman Lake Road. 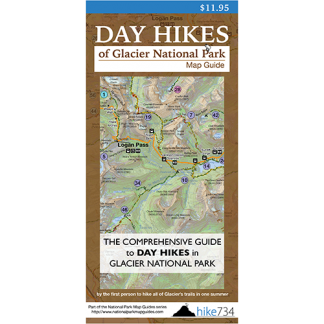 * Class 3 trails are trails that are infrequently maintained by the Park for various reasons. Hikers should expect overgrown trails, downfall, washed out sections, and potential creek fords. Route finding may be necessary on these trails.